A former Carol Burnett writer reveals his life in funny bits. Kenny Solms tells the story of his rise to prominence and his continuing career in the world of comedy writing in his humorous memoir, Bits. Bits takes its title from Solms’s admission that much of his early life revolved around performing comedy “bits” in an effort to draw laughter from family and friends. This desire to entertain stuck with young Solms, and through good fortune and hard work, he parlayed it into a career-making job writing for The Carol Burnett Show, in addition to Broadway productions, television variety show specials, and other efforts. Bits begins with a brief but complimentary preface by Carol Burnett that only skims the surface of their long collaboration. The same can be said of much of the rest of the book. Even when there’s “dirt,” the stories are recollected like anecdotes; while often amusing, they are not very engaging. The author recounts his career path in a breezy, entertaining way, but there’s not much that impacts emotionally. Perhaps this is the required trade-off when reading a memoir by someone whose goal is generally to make people laugh, but as a result, the book feels shallow at times. Solms’s many professional encounters and partnerships with celebrities should interest fans—he mentions Steve Allen, Joan Rivers, Carol Channing, Julie Andrews, Danny Thomas, and of course, the entire cast of The Carol Burnett Show, among others—but the personal relationship between Solms and his longtime comedy-writing partner Gail Parent, for example, is explained quickly: “She wanted to get married, and I wanted to get famous. I didn’t know until years later that I was the one she wanted to marry. She didn’t wait, and I’m still looking.” Solms briefly mentions that more details can be found in his autobiographical play, It Must Be Him, before continuing his account of his comedy projects with Parent. The book is well-titled, because Solms writes like he apparently lived, always throwing out jokes and “bits,” rarely slowing down. The result is that it sometimes feels like he’s telling only fragments of a larger story. 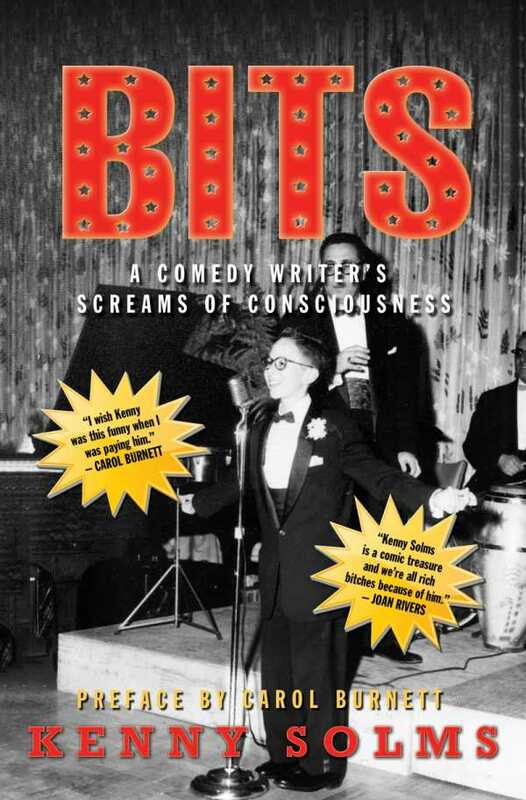 Bits is a brisk read, and the author tacks on thirty pages by including his unproduced script for the pilot of “As the Stomach Still Turns,” a television show that would have revisited the setting of “As the Stomach Turns,” a popular recurring sketch on The Carol Burnett Show. The script is funny, despite occasional misfires, and offers a taste of Solms’s humor in its natural element. In all, Bits is a light, pleasant tale of a life in and out of the Hollywood fast lane.